Buhari grants Fayemi leave for guber race – Royal Times of Nigeria. President Muhammadu Buhari has approved a leave of absence requested by Minister of Mines and Steel Development, Dr. Kayode Fayemi. The leave granted was to allow him seek the nomination of his party, the All Progressives Congress ( APC ) so as to stand as a candidate in the July 14 governorship poll in Ekiti state. 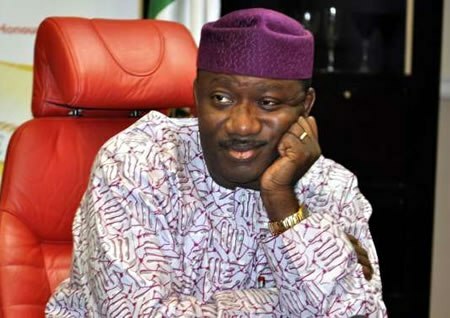 According to a statement on Monday signed by Fayemi’s media aide, Mr. Olayinka Oyebode, the one-month had commenced on April 9. It reads: “The attention of the Media office of Dr Kayode Fayemi, Minister of Mines and Steel Development, has been drawn to media some reports putting the date for the commencement of his leave at April 30th. “As a matter of fact, Dr Fayemi had commenced the one-month leave on April 9 the as approved by the President, following the Minister’s request. Oyebode noted that the clarification became necessary to educate certain individuals calling for Fayemi’s disqualification over non-resignation as minister before joining the governorship race.